N3, the leading outsourced, integrated sales and marketing execution firm, needed to clean up their data fast. Missing, outdated and incorrect data was threatening to compromise their campaigns, and the problem was only getting progressively worse as their data continued to grow. They needed to find a way to scale and grow their huge database effectively and keep it constantly up-to-date. Using Leadspace as a single source of truth for data, N3 were able to do just that. Intent data can be a powerful tool to help Sales and Marketing know who’s ready to buy. By understanding the power and limits of intent data you can ensure you’re getting real value. With so much technology out there, why are many B2B marketers still frustrated about the ROI of their MarTech? What are they doing wrong, and how can they get it right? 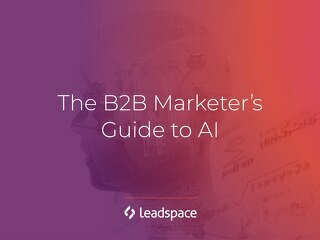 Artificial Intelligence (AI) holds huge potential for B2B marketing and sales. But how can marketers see through the hype to reap the benefits of this powerful emerging technology? 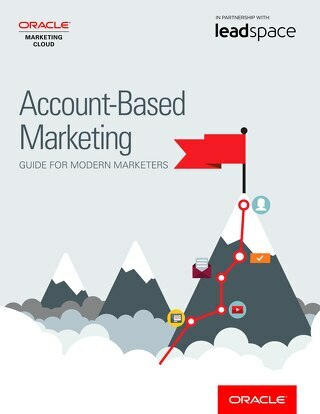 B2B marketers guide to using predictive analytics to power their lead generation strategies with account-based marketing.